One of Australia’s most successful, privately owned companies that has a long and important association with the Pilbara, West Australia and the iron ore and agriculture sectors. The Group continues to diversify into key industries to support the company’s future. Presentation to WA PGA Kimberley Forum 12th April 2019. George Scott. Hancock General Manager Agriculture. Australia has finished the swimming in the commonwealth games on a historic high. 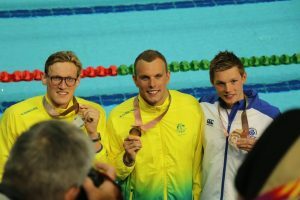 The final night of swimming saw Australia take home eight gold, one silver and four bronze medals, and another four Commonwealth Games records. 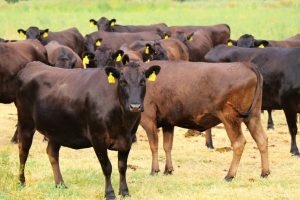 2GR Premium Fullblood Wagyu Beef is Hancock's new high-quality beef product. Raised on lush pristine pastures in NSW, 2GR cattle are produced using the finest Wagyu genetics found in our herd. 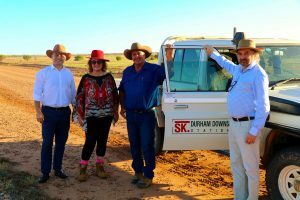 S. Kidman & Co is an iconic cattle business, established more than a century ago by Sir Sidney Kidman, and is now one of the Australia’s largest beef producers. Minerals are not like crops of wheat or wool that grow every year. You have got to find more each year and more each decade if Australia’s standards of living are to continue. Copyright Hancock Prospecting 2019. All Rights Reserved.